Welcome to Mizzou’s Greek Community! Welcome to the University of Missouri! You are entering the most exciting and challenging years of your life. The Greek community at the University of Missouri was founded in 1869 on the principles of Scholarship, Leadership, Service, Brotherhood/Sisterhood and is rich with tradition. 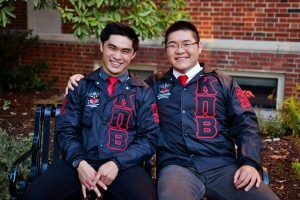 The Greek community at MU is home to over 6,500 students, representing 27% of the undergraduate student population. Our 55 organizations provide a support system that makes the campus community seem much smaller. The Greek community offers a unique balance of leadership, academics, philanthropy/service, and social opportunities that will enhance your college years at Mizzou. The Office of Fraternity & Sorority Life strives to uphold our values of scholarship, leadership, service and brotherhood/sisterhood. We aim to provide a positive undergraduate collegiate experience rich with opportunities to enhance the personal and professional development of our members.